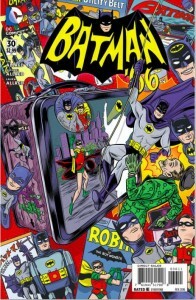 Batman ’66 #30 released today. 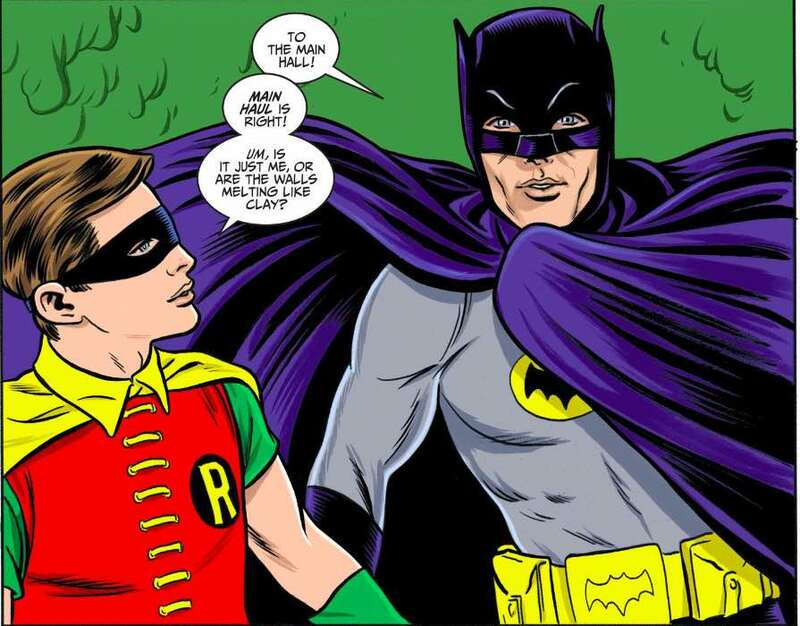 The series finale of Batman ’66 bids readers a fond farewell! This final issue is brilliant in several ways. First, it contains many nods to the well-loved television series. Second, the Allred family brings its full brilliance to their work. Clearly, it is a labor of love. The colors, characters, writing, and pacing of the issue are nearly perfect. 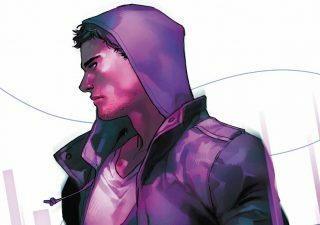 The premise of the issue is a prequel of sorts to the opening credits of the television show. 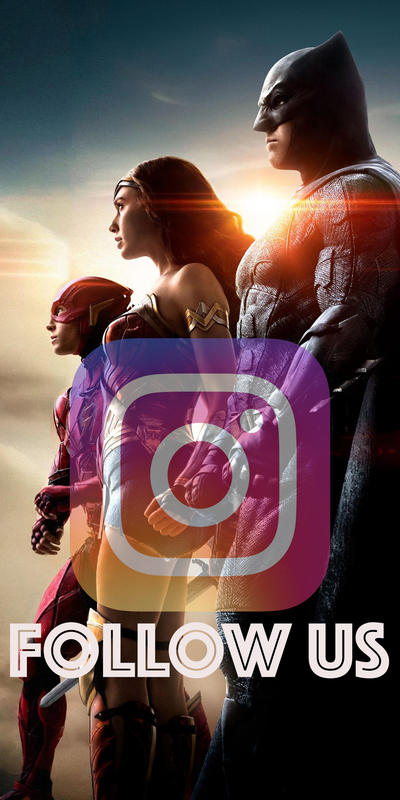 These images appear to be taken straight from the main title and were an extremely creative way to use them in print. 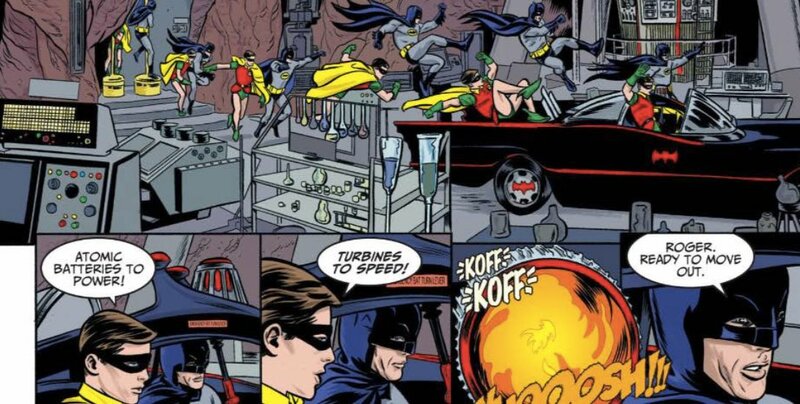 Another excellent nod to the show was the, “To the Batmobile!” sequence that appeared in every episode of the television series. Also, this issue featured nearly every villain in the Batman ’66 universe. 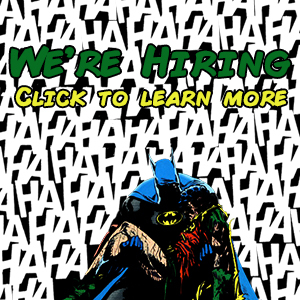 The main three villains are fan-favorites: Catwoman, Penguin, and Joker. 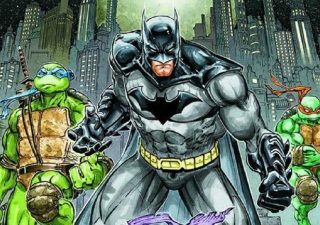 This seems to be a sequel to the villainous team-up from the 1966 Batman movie – only this time, The Riddler is not invited to the rogues’ party and makes it his mission to crash it. 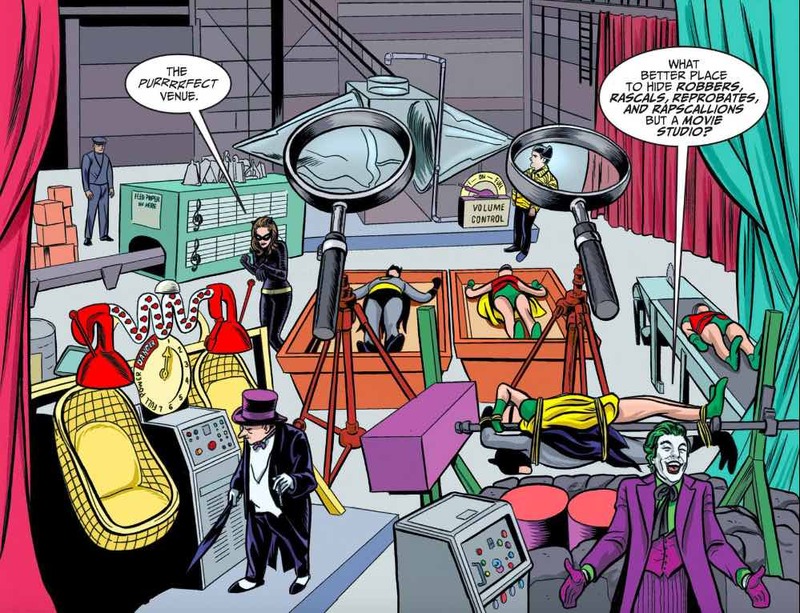 The rogues design traps for the Dynamic Duo, many of which are featured in episodes from the TV series. Recognize these from the show? 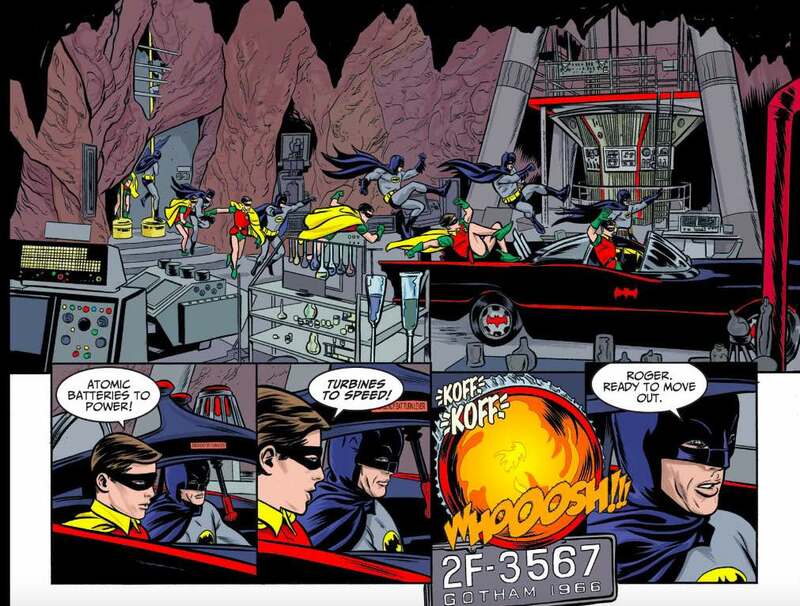 Interestingly, the issue includes Batman and Robin engaging in the famed Bat-climb, which allowed special guests from mid-1960s popular culture to appear on the show via windows. 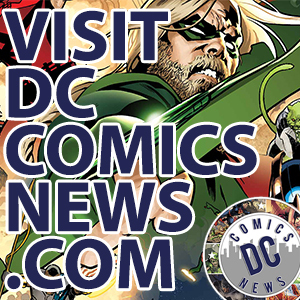 In print, we see this re-done with special guests from the Daily Planet – Jimmy Olsen, Perry White, and Lois Lane! Lois comments she wishes Clark Kent could be there too, but he’s on assignment in Metropolis. 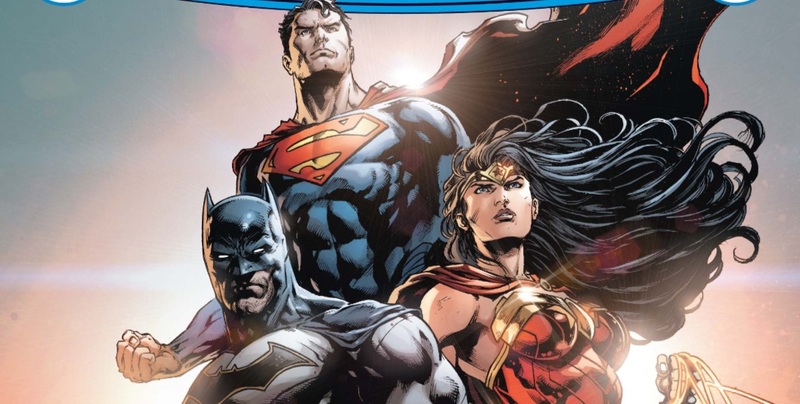 Fittingly, these characters resemble the cast from the George Reeve’s Superman television series. The storytelling in the issue is outstanding. 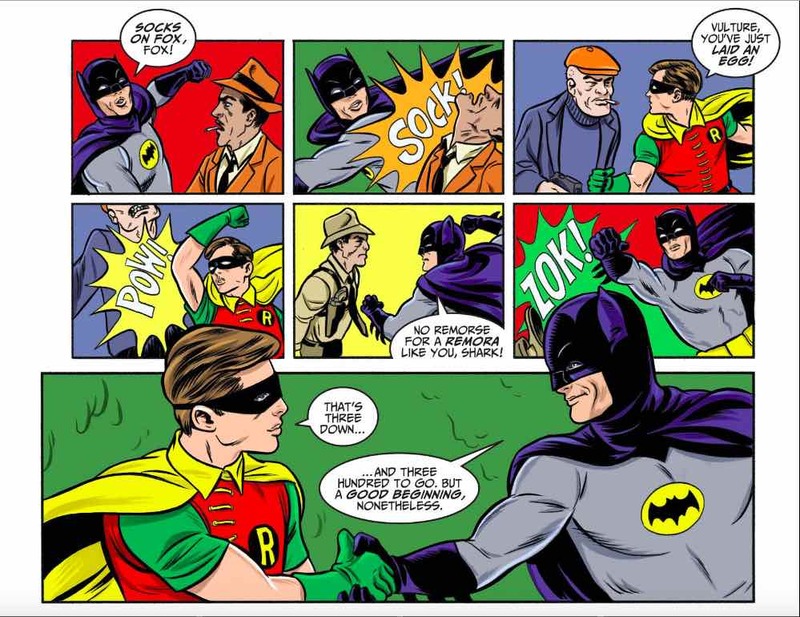 It genuinely captures the spirit of Batman ’66 and gives a fitting end to the comic book series, while leading readers to view it as the beginning of the television series. Well done! The art is impeccable. Clean lines, vibrant colors, and absolute attention to detail captures the essence of the original actors and characters from the show. One of my favorite examples is Frank Gorshin’s Riddler. His facial expressions are dead on, and the pacing of his phrasing as detailed in the lettering brings to mind the actor’s portrayal of the Prince of Puzzles. 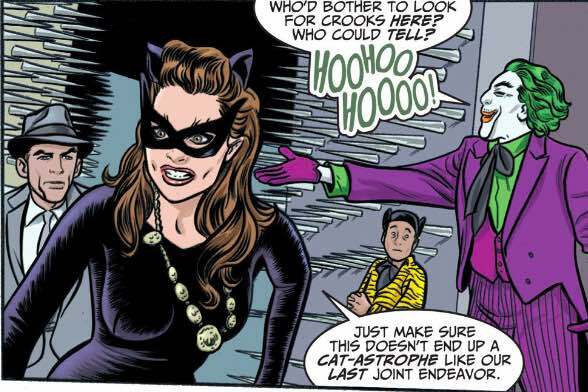 This sort of detail is a labor of love and is true of nearly all the characters depicted in Batman ’66 #30 who also appeared in the original show. As a fan of the show, seeing this level of love and fandom in the book was incredibly satisfying. 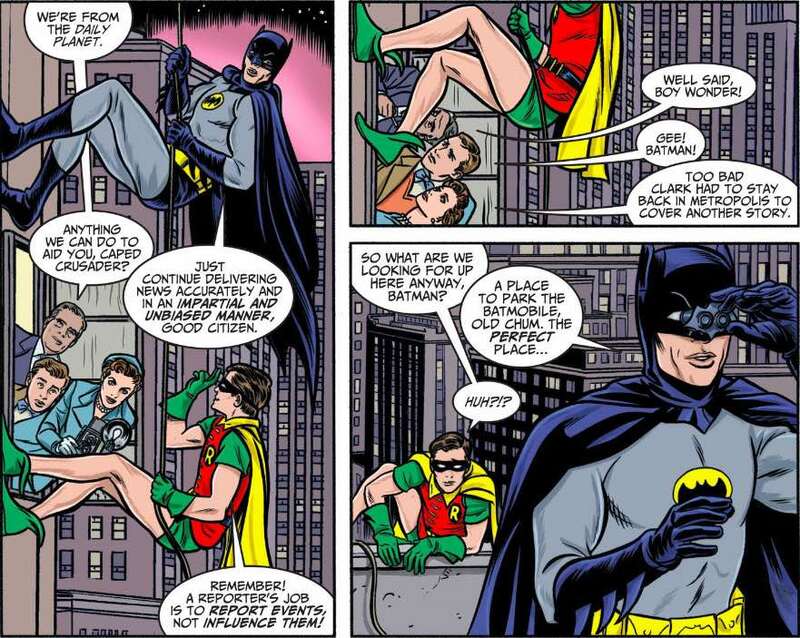 It made for a fitting end to the Batman ’66 title and was one of the best issues in the series. While I am sad to see this title reach its zenith, this conclusion makes the journey worthwhile and its departure a fond farewell. My only wish would have this issue in DC2 native format. This was the original format of the series and added a unique element absolutely fitting of this series. In the digital-native format, readers could literally see the television show in motion. 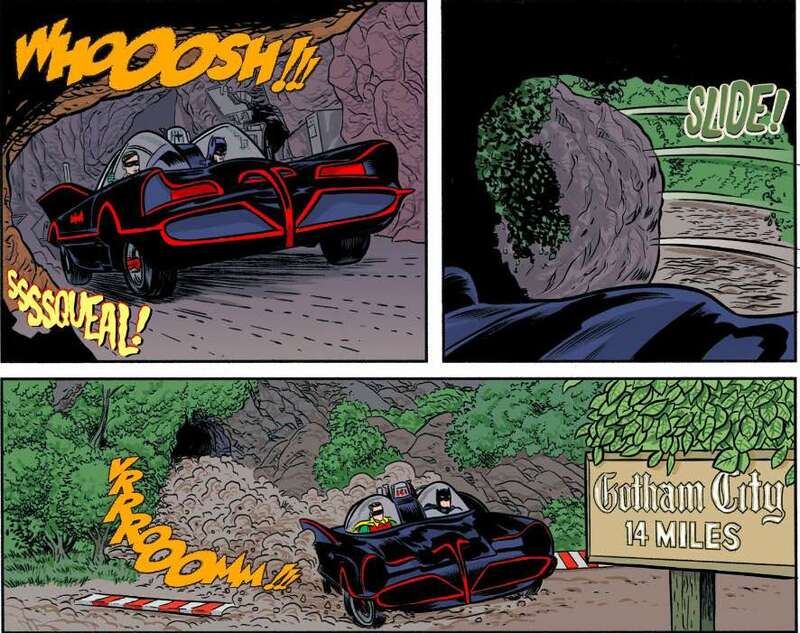 That would have been a cool addition to the nostalgic feel of Batman ’66. 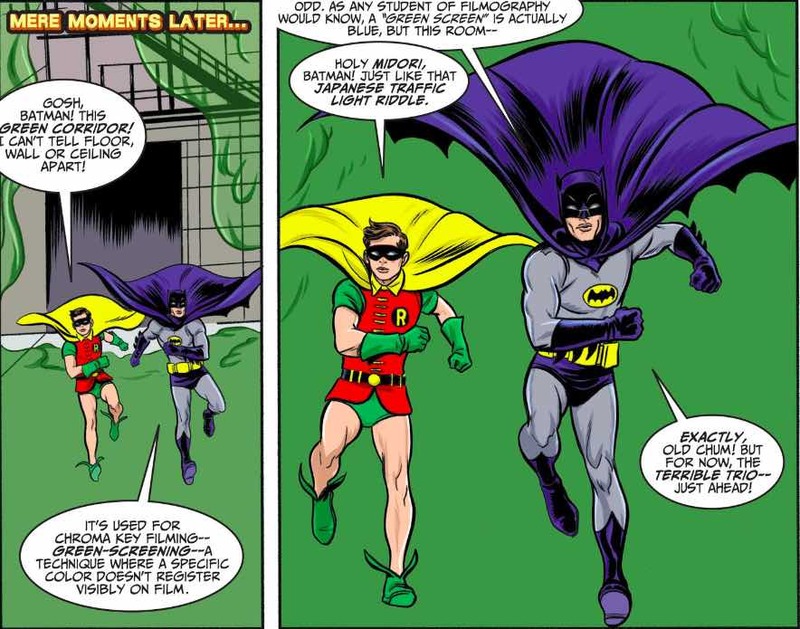 Batman ’66 had its share of brilliant issues, along with some lackluster. However, it was always fun. 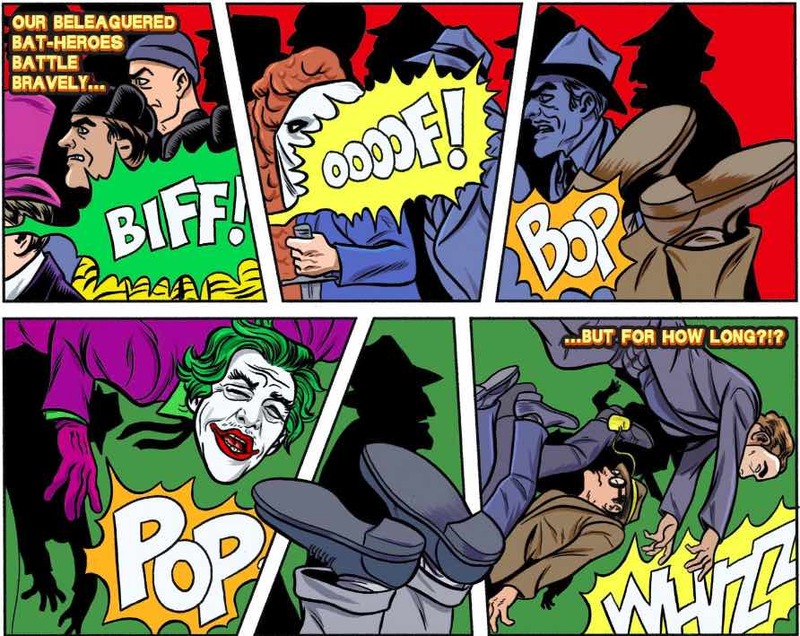 Batman ’66 was a colorful series suitable for almost all ages. This issue is a wonderfully fitting end to a fun-filled series.